This is the eBook of the printed book and may not include any media, website access codes, or print supplements that may come packaged with the bound book. 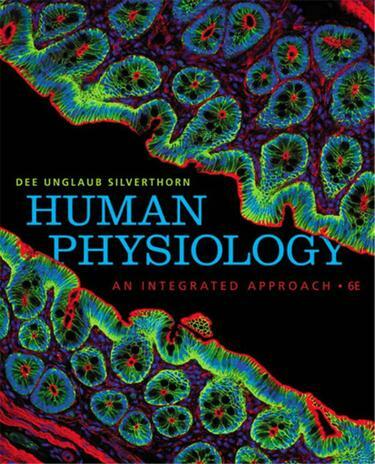 Human Physiology: An Integrated Approach broke ground with its thorough coverage of molecular physiology seamlessly integrated into a traditional homeostasis-based systems approach. The newly revised Sixth Edition introduces a major reorganization of the early chapters to provide the best foundation for the course and new art features that streamline review and essential topics so that students can access them more easily on an as-needed basis. Recognized as an extraordinary educator and active learning enthusiast, Dr. Silverthorn incorporates time-tested classroom techniques throughout the book and presents thorough, up-to-date coverage of new scientific discoveries, biotechnology techniques, and treatments of disorders. Dr. Silverthorn also co-authored the accompanying Student Workbook and Instructor Manual, ensuring that these ancillaries reinforce the pedagogical approach of the book.